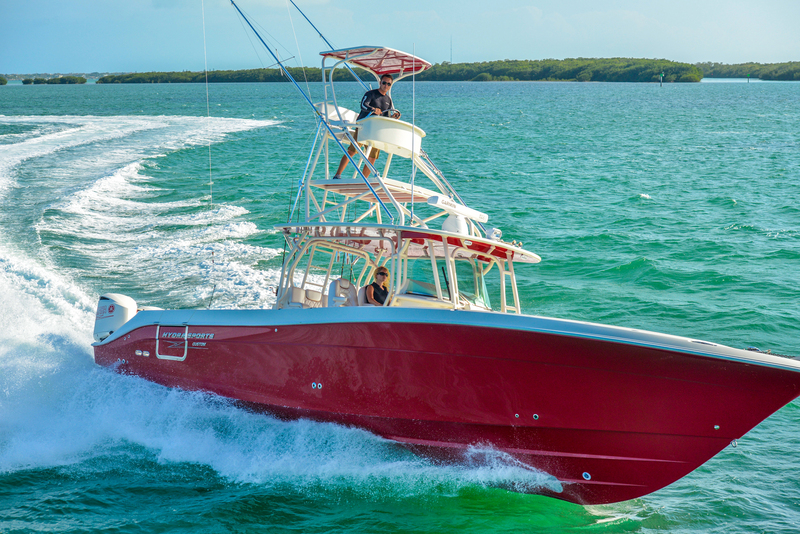 Hydra-Sports boats has made a comeback after being bought by Mastercraft, and their flagship model makes it clear that this company is back for good. 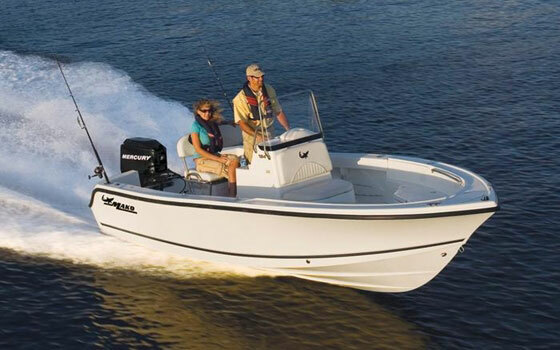 Let me put the Hydra-Sports 4200 SF into a nutshell: this boat is bone-crushing powerful, drop-dead gorgeous, and stunningly speedy. 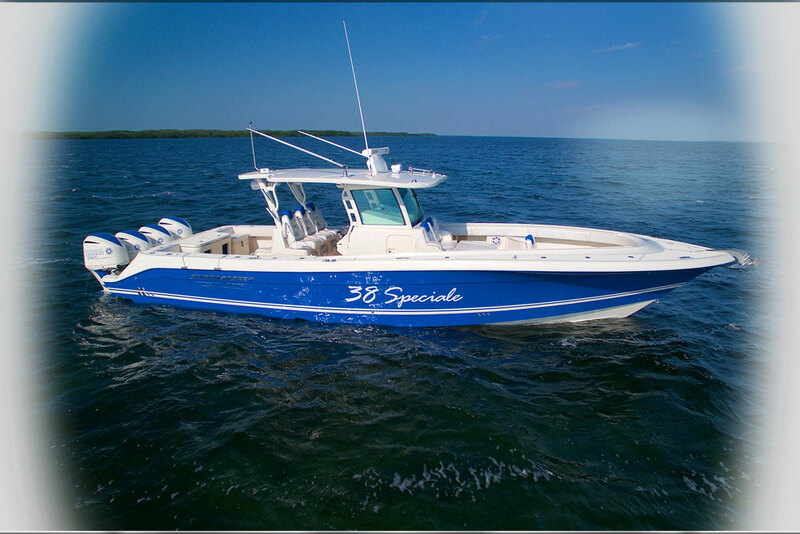 It can be had with triple Yamaha F-350 outboards, which push this 23,000 pound bluewater beast up to a top-end over 58-mph. Not fast enough for your taste? 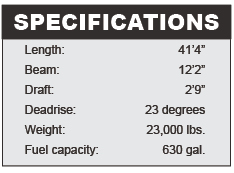 No problem—it can also handle quads with horsepower totaling 1,400 hp. Fill up the 630 gallon fuel tanks, open the throttles, and you’ll go fast enough to earn a ticket on Interstate 95. The down-side is, of course, fuel burn. 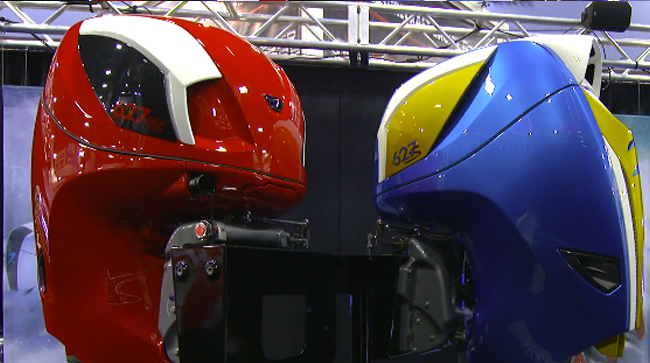 Those monster Yammies each drink up about 32 gallons of fuel an hour at wide-open throttle—you do the math. 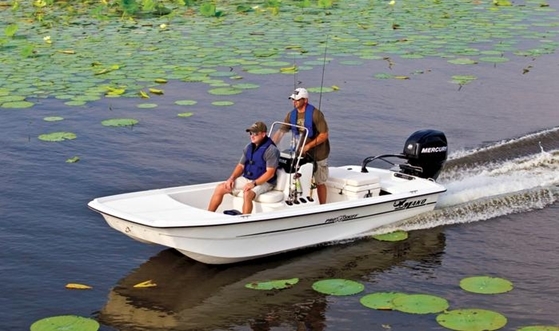 The Hydra-Sports 4200 reeks of power. Run it offshore, and soon you'll be reeking of fish. One new aspect to Hydra-Sports since being acquired by Mastercraft is, naturally, more attention paid to the way their boats look. 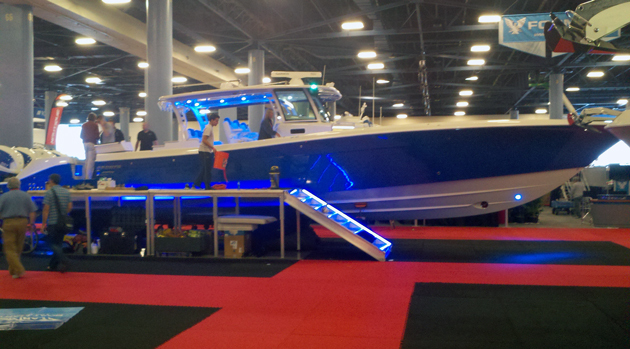 Every boat is a head-turner, and the 4200 SF is so hot that at first glance, your eyeballs might burst into flames. 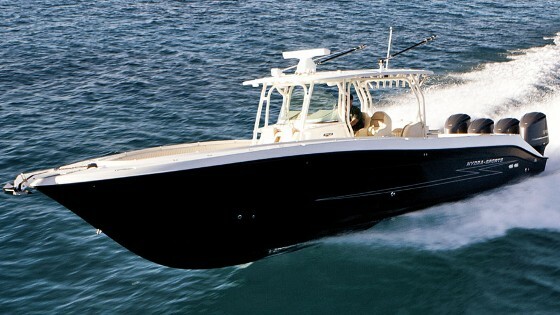 Okay, maybe that’s a slight exaggeration but the pipework arcs and bends to conform to the boat’s aggressive lines, the hullsides are tinted with your choice of 14 different colors, and the bold Hydra-Sports lightning-bolt logo seems to blast right out of the fiberglass. Beauty is, of course, only skin deep. 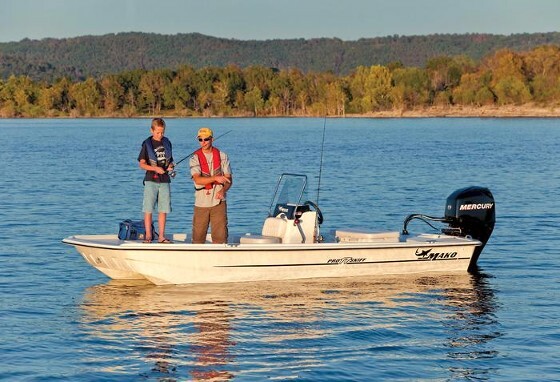 Good thing the Hydra-Sports is also built tough when you look a little deeper. 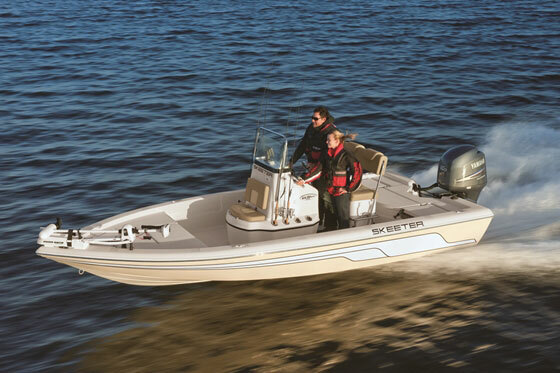 The polyester gel coat is backed by a coating of less-permeable vinylester; a layer of sprayed ceramic goes in-between layers of glass, and the keel is reinforced with a layer of Kevlar. Then a molded stringer grid is affixed with methyl methacrylate and pumped full of foam, before a poured-ceramic transom is molded to the liner. Another high point that stands out when you inspect the 4200 SF closely is its seating. Wrap-around bolsters lock you in place, and nine different grades of foam are used to ensure the perfect amount of cushioning, exactly where it’s needed. That means you stay nice and comfy—even when you apply the bone-crushing power and eye-watering speeds of 1,400 snorting horses. For more information, visit Hydrasports.